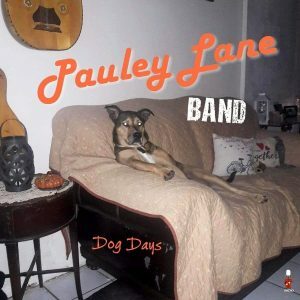 Pauley Lane is a blend of Rock & Roll and Americana music, with Country sitting in a corner watching. Each have toured the world and made their wildest dreams come true through music. Wyatt emerged from the South Florida music scene in the late eighties in the pop group “Linear” achieving a Billboard top 5 single with “Sending All My Love,” which was certified Gold in the US, Colombia, Taiwan, Malaysia, Chile, and the Philippines. Wyatt and Rich met in Catholic school in Fort Lauderdale and have stayed close friends since. 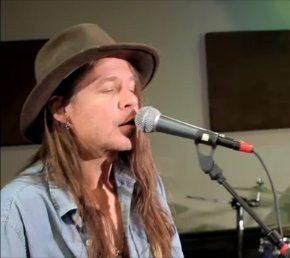 After “Linear,” Wyatt and Rich recorded and toured with “King Bria,” opening for bands like “Hootie and the Blowfish” and “Brother Cane,” and reunited in “SoKo”, on Atlantic Records and received warm welcome and moderate success from the Midwestern US. After “SoKo,” Rich made a name for himself on the SoFla music scene. 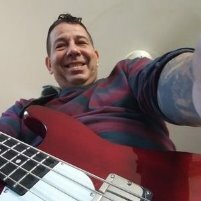 With solid chops and a can-do-anything attitude, Rich joined the “Rick Bauer” Band and toured the world supporting their interpretation of popular songs and independent original music on several major cruise ships. After many years abroad, Rich returned home and began playing locally with friend and fellow musician Douglas-Paul. Douglas-Paul grew up in New York and honed his musical skills at an early age. The song, “Landslide” from his early band, “Llama,” was featured on the WBAB Home grown Album in 1981, along with fellow Long Islanders Zebra and Twisted Sister. He had tri-state success in the 90’s with another Long Island band, “The Jinx.” After their bands succumbed to Seattle grunge, Douglas-Paul headed south. He settled in SoFla, playing in various local bands, where he met Rich, and eventually Wyatt. Wyatt, Douglas-Paul, and Rich, disheartened by a stagnant local music scene, began strumming and writing, taking pages from their lives and blending their various musical styles. An amusing and rather scary online first date, potato chips, and a fresh sound was the impetus for this trio to ignite. Pauley Lane is Rock ‘N Roll, hanging out with friends by the creek, drinking an IPA, kicking around a hacky sack. So unfold a chair, pull up some friends, and crank up Pauley Lane. The band has recently signed to UK Label, Distributor and Publishers In-Ex Records their first album on the label “Dog Days” was released on 7th December 2018 and is available in all major retailers.